California appeals court denies a request for a new trial in the Michael Jackson comeback concerts case. An appeals court in California has upheld the original jury’s decision in the case of the Michael Jackson comeback concerts, which held that the promoter of the concerts was not responsible for the superstar’s death. A 39-page ruling was delivered on Friday, a week after lawyers acting for Jackson’s mother Katherine had put in a request for a new trial. The 2nd District Court of Appeal found that the verdict absolving concert promoters AEG Live LLC was viable. Michael Jackson's Legacy And Earning Potential Live On With New Video "A Place With No Name"
The album is already on the road to sales success ahead of its actual release. It’s about time for another round of Michael Jackson nostalgia, with A Place With No Name, the first single off his posthumous album, released yesterday. The single came along with a video, released late on Wednesday via the late icon’s Twitter. And yes, the video is available worldwide, so if you haven’t seen it yet, what are you even doing? The release of A Place With No Name marked a milestone of sorts – it was the first time Twitter has been used for a music video release. MJ's legacy lives on in XSCAPE. But since this is Michael Jackson’s music we’re talking about, it couldn’t just be a low-key Twitter premiere. At the same moment the video dropped, it also started playing on the Sony screen in Times Square in NYC, for thousands of passersby. Continue reading: Michael Jackson's Legacy And Earning Potential Live On With New Video "A Place With No Name"
Beyonce To Receive Vanguard Award At The VMAs. But Mostly, YES, She Will Perform! Beyonce performing at the VMAs just unlocked a world of yes. Umm, Beyonce will be performing at the MTV Video Music Awards... is anyone really , surprised? Bey is everywhere these days. In the wake of her surprise album last December Bey has been at every show and received every music award, basically. But Bey and MTV have always had a special relationship, ever since the Destiny’s Child days. Are you wondering what this is leading up to already? Here it is – Beyonce will receive the Vanguard Video award during this year’s VMAs. Continue reading: Beyonce To Receive Vanguard Award At The VMAs. But Mostly, YES, She Will Perform! Could Michael Jackson's Neverland Ranch Fetch Up To $85m? We previously thought Michael Jackson’s Neverland Ranch would cost around $60m, but various reports are suggesting that the 1040-hectare (2,600-acre) estate could fetch anything up to $85m, making our provisional estimation seem like a bonafide bargain. The ranch, which was acquired by the King of Pop back in the late 80s, was valued st at $30m by California property experts, but given the context of the property and land, it looks like it could sell for between $75m and $85m. Colony Capital bought a $23.5m stake in the property just before Jackson's died from a drug overdose and heart attack in 2009. 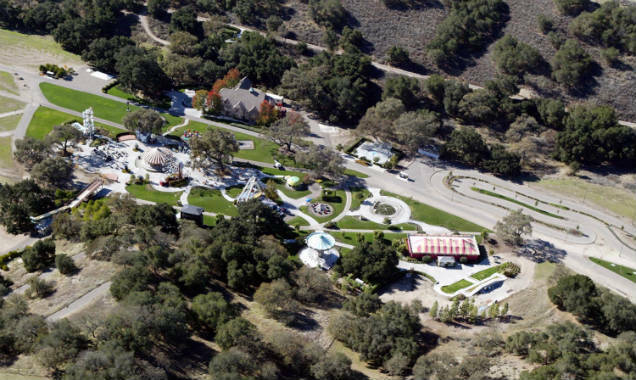 Continue reading: Could Michael Jackson's Neverland Ranch Fetch Up To $85m? Michael Jackson's Neverland To Be Sold: What Can You Buy For $60m? What would you do if you won the lottery this weekend? Buy a yacht? A football club? Well, you could also buy Neverland. Michael Jackson’s famous mansion / theme park in Santa Barbara is being put up for sale by property developers Colony Capital. While the property is valued at $27 million, industry insiders expect that it could sell for as high as $60 million because of its inherent value as a pop culture landmark. While Neverland is owned by the Estate of Michael Jackson, Colony Capital have maintained a 12.5% undivided stake since 2008 when they bought out the late singer’s $23 million mortgage to prevent foreclosure on the property. 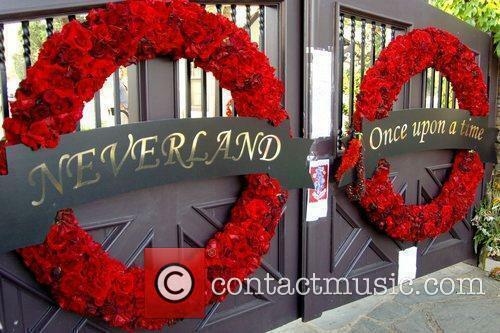 Nearly six years later, Colony has exercised its legal right to sell the property in order to settle debts owed from the loan, interest etc..
Continue reading: Michael Jackson's Neverland To Be Sold: What Can You Buy For $60m? Jackson Family To Star In New Reality Show - But Who Is Alejandra Jackson? Alejandra Jackson, the ex-wife of Michael Jackson's brother Jermaine, is set to star in a new reality series. But who is she and what will the show focus on? Members of Michael Jackson's extended family are set to star in a new reality series but most people have never heard of the focus of the upcoming show, Alejandra Jackson. So who is she and what exactly will she have to say when the six part series airs on Reelz. Alejandra Jackson and her five children will form the focus of a new reality show. Read More: La Toya Jackson: 10 Facts About Michael's Newly Engaged Big Sis. 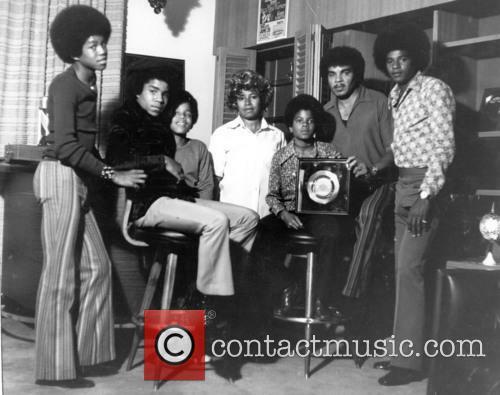 Continue reading: Jackson Family To Star In New Reality Show - But Who Is Alejandra Jackson? The two bodyguards who spent the last two-and-a-half years of Michael Jackson's life with him have come forward to tell their side of the story. La Toya Jackson is back in the spotlight. The elder sibling of Michael and Janet has just announced her engagement to manager Jeffré Phillips and is about to begin season two of her reality series 'Life With La Toya'. La Toya has had her fair share of ups and downs over the years, but thanks to her famous surname, she’s never strayed too far from the public eye. Here’s 10 things you might not know about the middle Jackson child. 1. 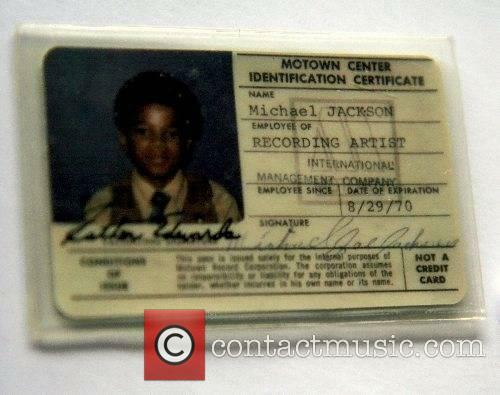 La Toya was born on May 29th 1956 to Joseph and Katherine Jackson. She was the fifth of ten Jackson children and shares a birthday with sister Rebbie, who is six years older. 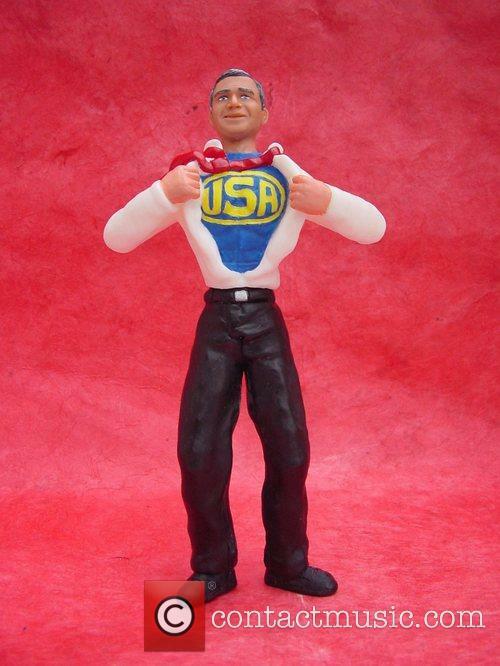 Coolest Thing Online This Week? The Bottle Boys Cover "Billie Jean"
Are the Bottle Boys the next big YouTube thing or have they gone straight for television? Covers of classic tracks and unconventional instruments are a big thing on youtube, so you can bet the Bottle Boys’ rendition of Billie Jean got some attention after it was posted this week. The Bottle Boys are a Danish band, who cover popular songs, using (you guessed it) glass bottles. Continue reading: Coolest Thing Online This Week? The Bottle Boys Cover "Billie Jean"
Nearly two decades into their career, Coldplay have somehow managed to stay relevant. 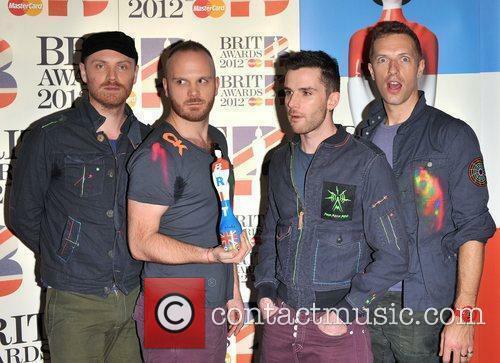 Coldplay’s sixth studio album “Ghost Stories” landed straight at No. 1 in the Billboard chart on its debut this week. The record sold 383,000 million had sold 383,000 copies in the week ending Friday, May 25, making this the best sales week for any album in 2014 so far. The previous record holder was Eric Church's "The Outsiders", which sold 288,000 in the week ending Feb. 16 (all figures calculated by Nielsen SoundScan, via Billboard). The album's sales number were boosted by a promo deal with NBC. In fact, “Ghost Stories” is the biggest seller since Beyonce dropped her surprise album last December, selling 617,000 in the week ending Dec. 15 (as an iTunes-exclusive). Barring Bey's smash hit, "Ghost Stories" also had the biggest digital debut since One Direction's "Midnight Memories" last year. Chris Martin and co. sold 245,000 in digital copies, or 64% of the album's total. Chart-crushing blues rock and building-smashing monster movie antics: another week in news brings shocks and laughs. Cannes Continues: We're nearly at the end of the second week of the Cannes Film Festival and have been mentally noting which new movies have soared or been scorched at the hands of critics. Map to the Stars, Two Days, One Night, Mommy and Foxcatcher have all received glowing reviews whilst Lost River, Grace of Monaco, and The Search... well, less so. Click on links for reviews highlights and details for each movie. Carter-Knowles Camp Content? : The Jay Z/Solange brouhaha confusion still hasn't been publically illuminated but the Carter-Knowles family seems to be intent on proving to the world that everything is just fine, fine, fine, thank you very much after footage leaked showing the singer attacking her rapper brother-in-law in a lift. Beyoncé's statement did little to explain her sister's violence but her newly-posted family photos do a good job of sweeping it all under the rug, for better or worse. 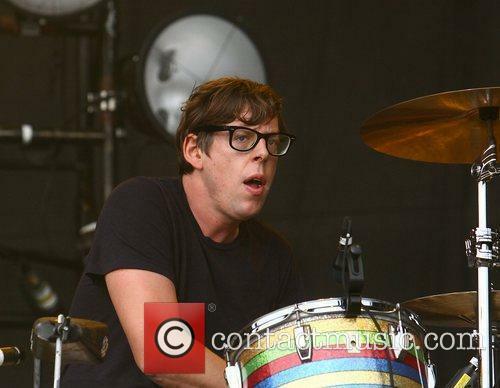 The Black Keys' new album has kept Jackson's 'Xscape' from the top of the charts. The Black Keys have earned their first number one album, Turn Blue, having outsold Michael Jackson's posthumous release Xscape by just 7,000 copies in the US. 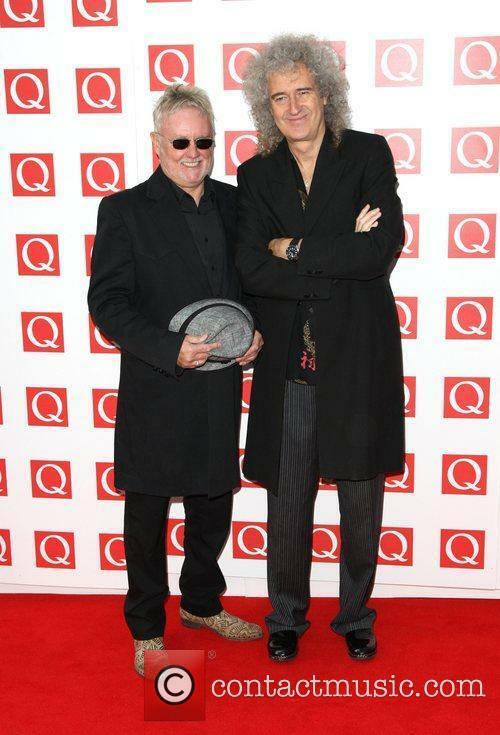 Meanwhile, the rock duo's lead single 'Fever' has managed to top both the Alternative airplay and Rock Airplay charts. Turn Blue sold 164,000 copies in the week ending May 18, according to Nielsen SoundScan, via Billboard, while Xscape sold a close 157,000. The sales figures are good news for both records, which were only predicted to sell around 150,000 to 155,000 each. Tupac Shakur, Now Michael Jackson. Are Hologram Performances The Future? 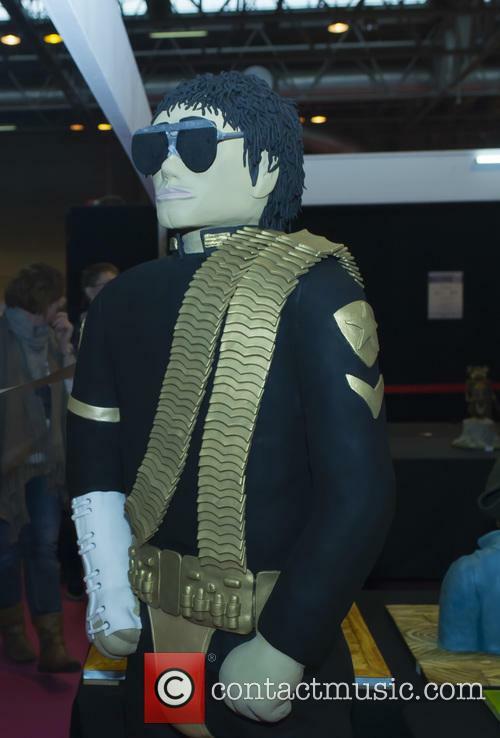 A hologram of Michael Jackson performed at the Billboard Music Awards on Sunday night, marking the second time a dead musician has been resurrected by a visual effects company. Are holograms the future of musical performances? So, the King of Pop performed at Sunday night’s Billboard Music Awards. Yes, you heard us right and no, there’s not a new King of Pop who has finally claimed the late Michael Jackson’s crown. Michael Jackson himself performed on stage at the award show. Sort of. Before any of you start panicking that a bunch of necromancers organised the event, let’s clear something up. 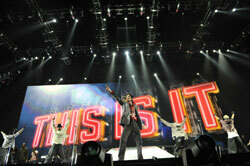 It was a hologram of Michael Jackson that took to the stage, and not the singer, who died in 2009 from a cardiac arrest. The scarily realistic hologram performed Jackson’s song “Slave To The Rhythm,” taken from the upcoming posthumous album. The hologram, dressed in a gold jacket and red trousers, even performed Jackson’s signature moonwalk. This is not the first time that a hologram of a dead musician has performed at a large-scale event. Back in 2012 a hologram of rapper Tupac Shakur, who was murdered in 1996 aged 25 years old, performed onstage at Coachella Music Festival. Continue reading: Tupac Shakur, Now Michael Jackson. Are Hologram Performances The Future? Michael Jackson is the indisputable King of Pop, with some of the most well-known pop songs and albums of all time under his name. His 1982 album 'Thriller' still stands as the biggest selling album of all time. Having tragically died at the age of 50 following a cardiac arrest in 2009, we now see his second posthumous album of previously unreleased material in the form of 'Xscape'. There are two trains of thought when it comes to posthumous albums. On the one hand, they're a great opportunity for people to listen to music that otherwise would never be heard. On the other hand, the artist isn't here to help make any improvements and give the album their blessing and so posthumous albums run the risk of being poorly executed with the quality solely coming down to how the songs are produced, not how the artists can better them. This can ruin the legacy of an artist for some people, but for others it's merely songs pilling onto a back catalogue. So does 'Xscape' spoil the legend of Michael Jackson? It begins with the strong single 'Love Never Felt So Good' which leads with its disco beat accompanied with warm strings, classy piano, rhythmic clicks and lush guitars that get you in the mood for a good time. What stands out is Jackson's unmistakable voice, which always adds character to his work. The song gives hope that this album could be something great but, sadly, that hope quickly diminishes. After second song 'Chicago', a good R&B number featuring well-crafted synth-pop elements, the album goes downhill with some tracks that are just plain boring. Michael Jackson's Posthumous "XSCAPE" Is A Hit, But Why Is Jermaine Jackson Disappointed? Despite Jermaine Jackson's disappointment, the album is a hit with critics. Xscape is predicted to be the bestselling album of 2014. One possible collaboration, however, was notably overlooked. The Jackson Five don’t feature on the album at all – not even as solo artists. According to TMZ, Jermaine Jackson in particular is a bit peeved by the oversight. Continue reading: Michael Jackson's Posthumous "XSCAPE" Is A Hit, But Why Is Jermaine Jackson Disappointed? The 59 year-old brother is disappointed none of his siblings were involved in the reworking of his late brother's latest posthumous album. Jermaine Jackson is not pleased how Michael Jackson's posthumous album 'Xscape,' was put together. The brother of the late superstar expressed his disappointment in not being involved in the record, which features 8 unreleased tracks from Jackson's archives, when speaking to TMZ this past Sunday (May 11th). 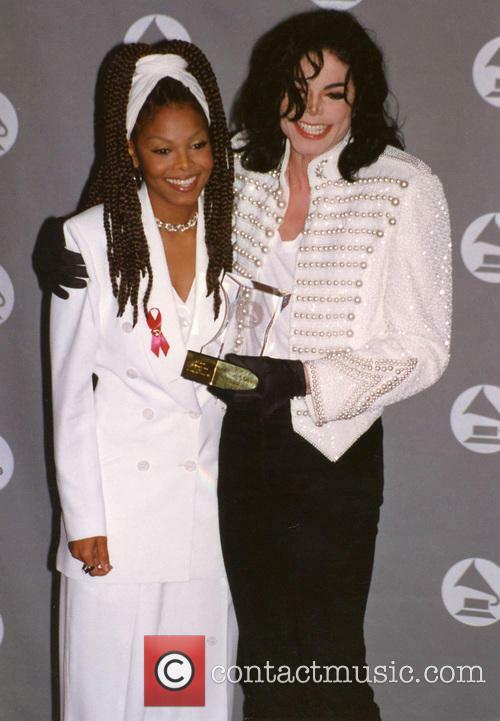 'Xscape,' which is Michael's second posthumous album, was reworked by world renowned producers Timbaland, Rodney Jerkins, Stargate and John McClain, but Jermaine feels like he should have taken one of their places. 'Love Never Felt So Good', the first single from Michael Jackson’s long awaited posthumous album, Xscape has been given its debut at the iHeart Radio awards. The single sees Justin Timberlake duet with Jackson on the track that he originally demoed in 1983. So now we've had a listen, what's the verdict? Has Jackson never felt so good or does he need to Xscape from Timberlake? 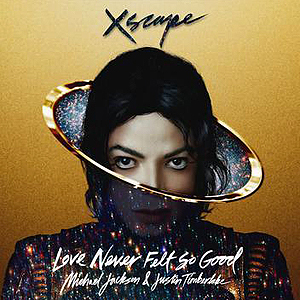 Firstly we can’t technically call ‘Love Never Felt So Good’ a new track. 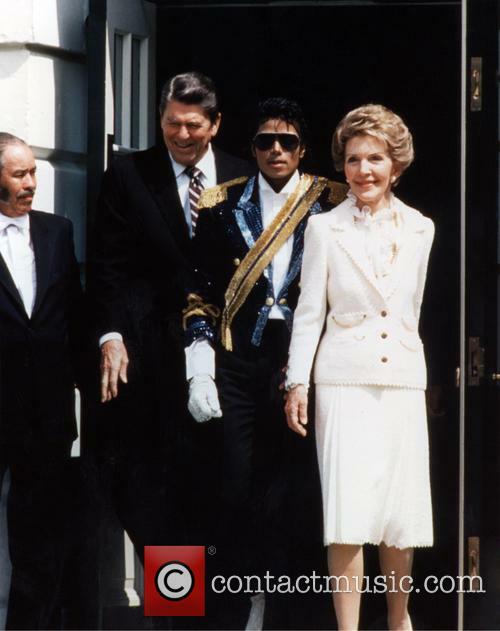 The song was written by Jackson with Paul Anka and originally demoed in 1983. Still this version has been updated and produced by John McCalin with some extra vocals added by Justin Timberlake, so it is pretty much 'new'. Re-mastering and producing the material left behind by Michael Jackson is an unenviable task, just the slightest change to Jackson’s well known sound could incur the wrath of the King of Pop’s legion of fans. 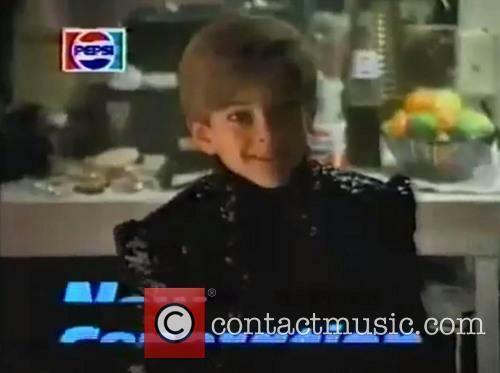 Luckily the first thing you notice when listening to ‘Love Never Felt So Good’ is that it’s unmistakably Jackson. Better than that, it’s vintage Jackson, and fits in perfectly with his early 80’s output from when it was originally recorded. What Do We Know About Michael Jackson's Ex Wife Debbie Rowe? 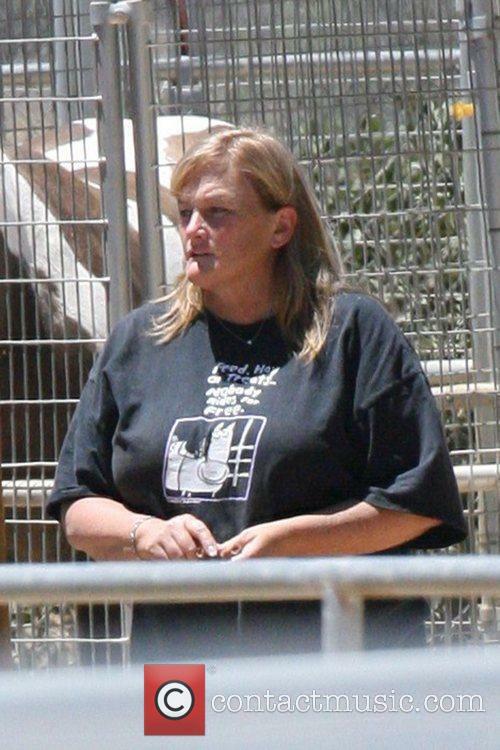 Just who is Debbie Rowe, the ex wife of Michael Jackson? Debbie Rowe might have once been married to one of the most famous men in the world, Michael Jackson, but really little is known about the woman herself. Right now she’s found herself back in the media after announcing her engagement to Michael’s former business manager, Marc Schaffel. But who is the woman who was once married to the King of Pop? 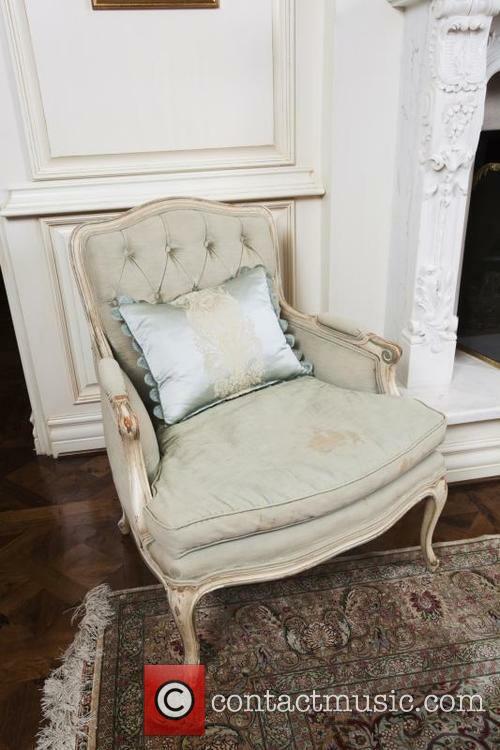 Deborah Rowe was born in 1958 and adopted by a wealthy family living in Malibu, California. She is said to have had a very lonely upbringing and didn't had her first serious relationship until aged 30. After the break up, Rowe went to work at the office of dermatologist for Dr Arnold Klein, Klein’s most famous client was Michael Jackson, who was being treated at the clinic for vitiligo. Jackson was recently divorced from his first wife Lisa Marie Presley and is said to have struck up a close friendship with Rowe soon after. 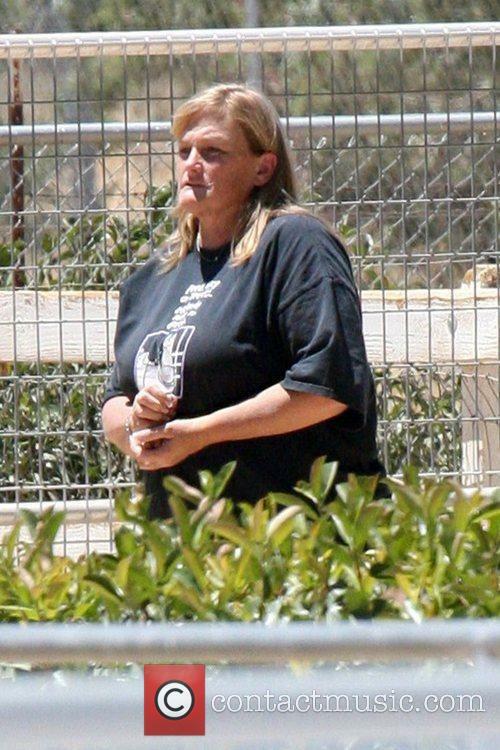 Continue reading: What Do We Know About Michael Jackson's Ex Wife Debbie Rowe? Debbie Rowe is making some major life decisions after her cancer scare. Debbie Rowe, Michael Jackson’s ex wife and mother of his first two children, has had some major ups and downs recently, but it looks like things are turning for the better. Rowe has just announced her engagement to Michael Schaffer, TMZ reports. According to the website, Schaffer proposed three whole weeks ago, but it took his now fiancée a while to make it official. Rowe initially declined, fearing that she might be diagnosed with terminal cancer. Rowe has been making time for her family and reconnecting with daughter Paris in recent months. Now that her condition has been diagnosed as the autoimmune disease sarcoidosis (Rowe was diagnosed on Wednesday), she has said yes and the couple are moving forward with their wedding plans. They don’t seem to be rushing anything – in fact, the couple are yet to set a wedding date. 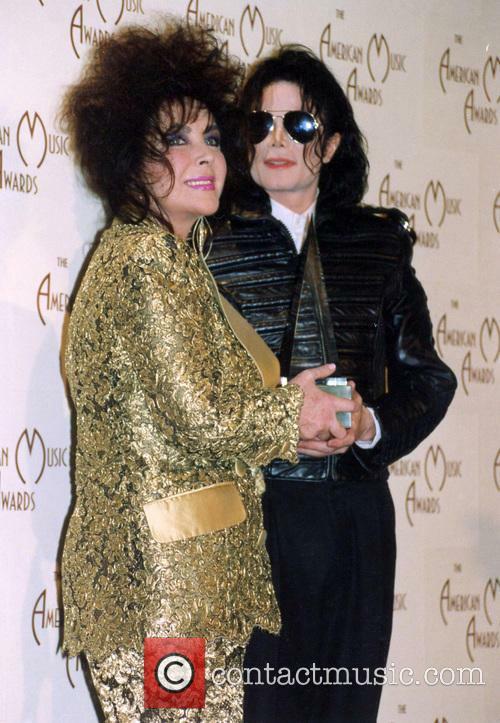 Michael Jackson's former wife has been told she has sarcoidosis - and not cancer. Debbie Rowe, the former wife of the late pop star Michael Jackson, has announced that she is engaged to long-time friend Marc Schaffel. 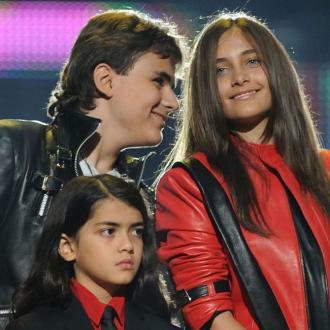 Rowe had two children with the late King of Pop, Paris, 16, and Michael Jr., 17, who were born before she and Jackson divorced in 1999. Debbie Rowe Has Confirmed That She Is Engaged To Marc Schaffel. Schaffel reportedly asked Rowe to marry him three weeks ago with a 3.55 carat diamond ring but the 55 year-old former nurse was reluctant because she thought that she had cancer. However, she was told on Wednesday by her doctors that she has sarcoidosis, an auto-immune disease that causes patches of swollen tissue to appear throughout the body. There is no known cure for the condition but unlike cancer it is not terribly life threatening. Michael Jackson New Album 'Xscape' Gets First Listen: What Do Critics Think? The late pop star's latest posthumous release falls under critics' gaze. 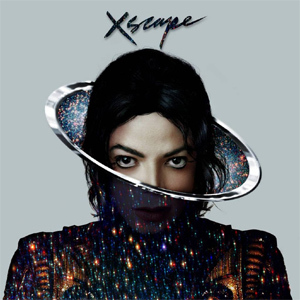 Michael Jackson's Xscape may not be released until next month but the new posthumous release from the late pop star has already fallen into the hands of critics who have given the brand new collection of songs a first listen verdict. Featuring eight previously unreleased songs, the new album will be released in May, announced the executive producer L.A. Reid. 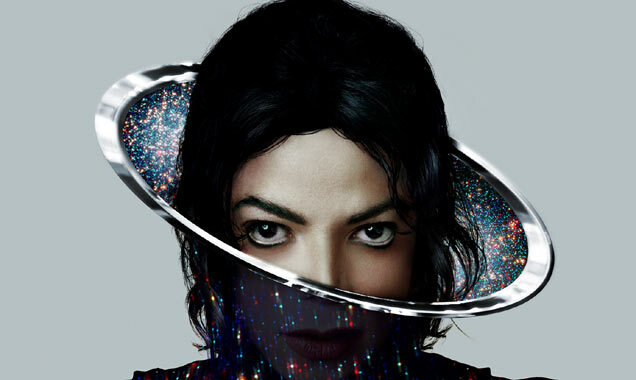 Michael Jackson's Latest Posthumous Album, 'Xscape,' Will Be Released On The 13th May. "Michael left behind some musical performances that we take great pride in presenting through the vision of music producers that he either worked directly with or expressed strong desire to work with," the former US X Factor judge said in a statement, via Billboard. "We are extremely proud and honored to present this music to the world." Continue reading: Michael Jackson New Album 'Xscape' Gets First Listen: What Do Critics Think? 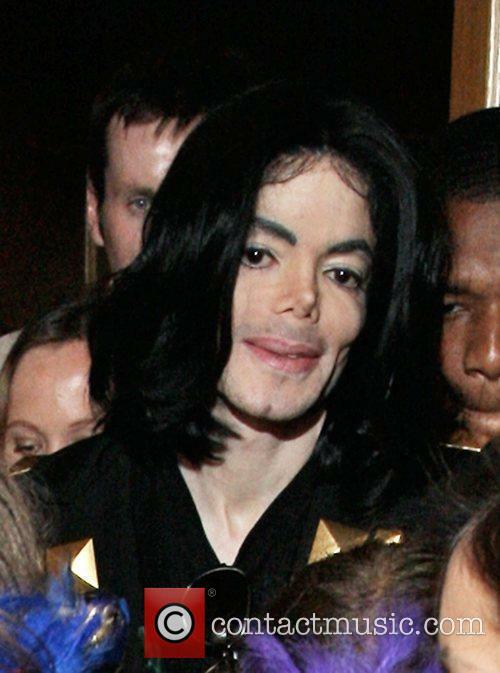 There’s a new Michael Jackson album on the way in May, Xscape, which will be the singer’s twelfth studio album. The only confusing part is, Michael died in 2009. Jackson of course isn’t the first artist to bring us ‘new’ material from beyond the grave, actually it seems it's common practice for a singer to leave behind pleanty of unreleased work. Take these five for examples of who have shown that not even death can bring an end to a recording career. Michael Jackson's XSCAPE is likely to sell over a million copies this year. Michael Jackson's new album XSCAPE is the odds-on favorite to become the biggest selling album of 2014 in the UK. The record - co-produced by Timbaland - is set for release on May 13, via Epic Records. Bookmakers William Hill are offering odds of 1/10 to sell a million by the end of 2014 and 1/4 that it will become the biggest selling album of the year. One area that it could fall down is in generating the year's biggest selling single of the year - with Pharrell Williams' Happy looking set to bag that accolade with odds of 2/1. Any song from Xscape can be backed at 5/1. Michael Jackson's new album XSCAPE hits in May. A new Michael Jackson album featuring eight previously unheard recordings will be released on May 13 through Epic Records. The posthumous record, titled XSCAPE is produced by Timbaland, Rodney Jerkins, Stargate, Jerome Harmon and John McClain. We'll find out tonight whether the pop star branded the "reincarnation of Michael Jackson" is telling the truth. DNA test results from a man rumoured to be the son of the late Michael Jackson will be revealed live on the internet tonight. Pop singer Brandon Howard, who performs as B. Howard claims that he is the product of a fling between his mother, the jazz/R&B singer Miki Howard, and Jackson in 1982. The two share undeniable similarities but Jackson's estate lawyers are sceptical. A Singer Named Brandon Howard Is The Rumoured Son Of Michael Jackson. FilmOn.com will unveil the DNA results tonight which Howard is convinced shows that he is the King of Pop's heir. He claims to have obtained Jackson's DNA from an old orthodontic device and that the test results show a match, according to TMZ. Estate lawyer Howard Weitzman said, "We've never even heard from him," adding, "Any deadline for claiming to be Michael's child has long since passed." Keyshawn Johnson is moving house but claims Justin Bieber living down the street has nothing to do with his decision. 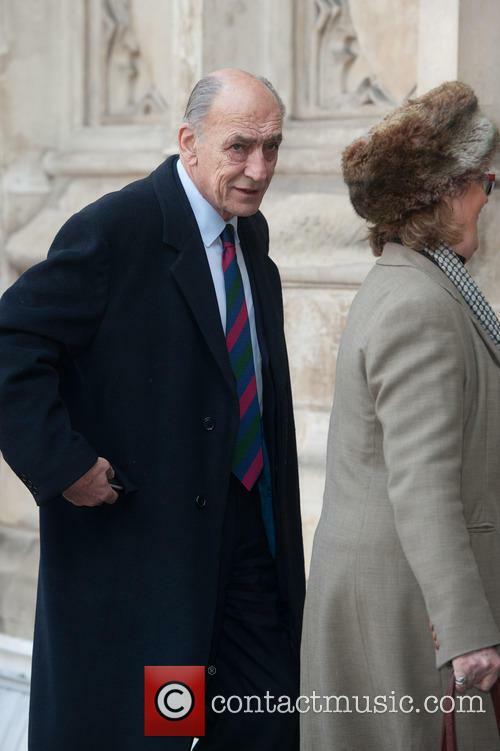 Johnson has had numerous disputes with his 19-year-old neighbour including complaining his driving is reckless and nearly injured his daughter. Keyshawn Johnson is selling his huge house in Thousand Oaks, Los Angeles to none other than Kourtney Kardashian. But the celebrity connections do not stop there: Justin Bieber may well be a contributing factor in Johnson's decision to move from the star studded area. 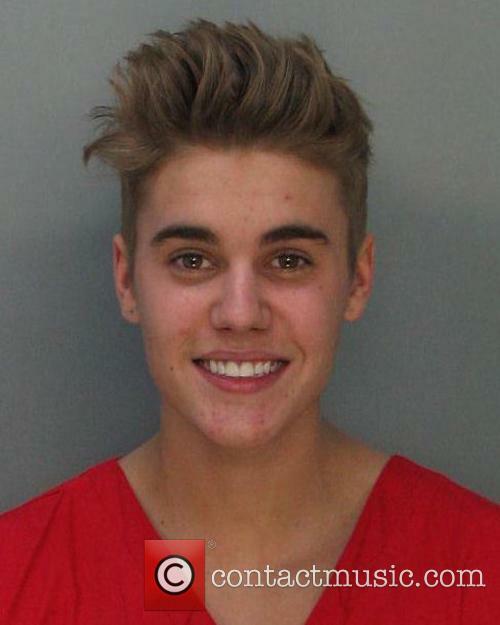 Justin Bieber's overly cheerful mugshot. Bieber is, as attested in numerous reports, a neighbourhood menace. He was recently caught egging a neighbour's house near his Calabasas home and has had numerous run-ins with Johnson. On a number of occasions, Bieber was recklessly driving around the area, Johnson claimed. According to reports in The Guardian, last May, Bieber nearly hit former football player Johnson's young daughter as he drove around the neighbourhood in his white Ferrari. Johnson followed Bieber home only for the singer to disappear inside his house before anything could be said. Bon Jovi made over $205m (£125m) collectively over the last twelve months of being on tour; an impressive amount by all means, ensuring they finish 2013 as the highest grossing touring group of the year. Since January, the band have performed 90 sets to over two million fans, according to Billboard's yearly rankings, with each show a sell-out, making them easy victors in this year's rankings. The Michael Jackson-inspired 'Michael Jackson The Immortal World Tour' by Cirque Du Soleil came in second and despite not scoring a single sell-out performance, they contortionists still managed to bring in $157m Third and fourth place was decided by a few (hundred) thousand, with Pink edging out Bruce Springsteen for the No. 3 spot. Her 114 shows in 2013, 111 of which sold out, earned the singer $147.9m as she performed to over 1.5 million people across the globe. Springsteen saw his 53 tours sell out in 36 locations, with over 1.3 million people paying a combined $147.6m to see The Boss. After being rejected by a jury in October, the Jacksons' legal reps are attempting to open a new lawsuit. Katherine Jackson is seeking to re-launch the wrongful death suit after a judge ruled against her and in favor of Michael Jackson’s concert promoter AEG back in October. Attorneys for Katherine Jackson and Michael’s three children have filed a request for a new trial, citing misconduct of the jury and insufficient evidence as some of the key reasons, Reuters reports. Another reason cited by the Jacksons’ legal team is newly uncovered evidence, although the documents do not specify any further details. This will be the second time that the Jackson matriarch has opened the lawsuit, having originally asked for a billion from AEG. 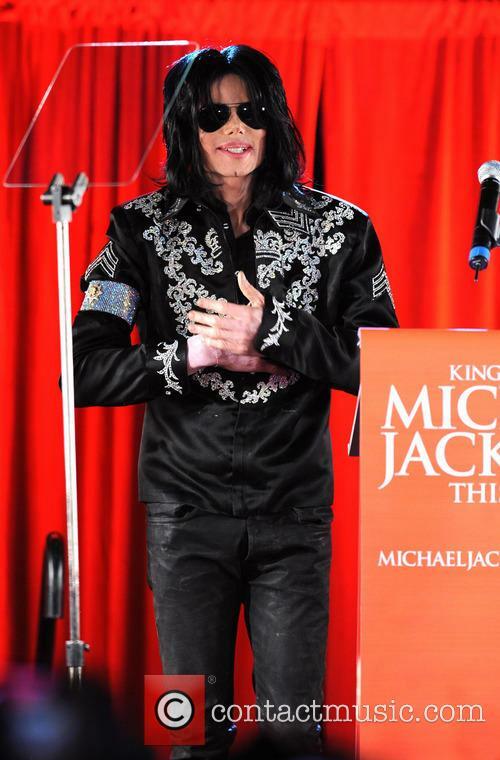 The wrongful death suit was launched by Katherine Jackson earlier this year, aiming to prove that AEG had been negligent in hiring Dr Conrad Murray as Michael’s physician and thus participated in his death. Jackson died in 2009 after receiving a lethal dose of the drug propofol at the hand of Murray. The physician was convicted of involuntary manslaughter in 2011 and sentenced to four years in prison. Thanks to automatic credit for good behavior, however, his sentence was lowered to just two years and Murray was released on October 28 this year. 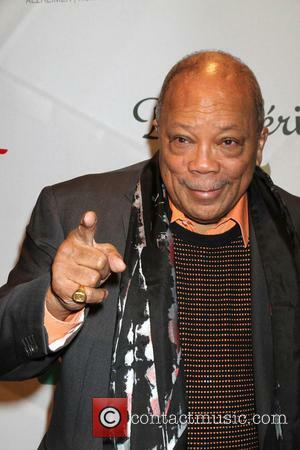 Quincy Jones is taking Michael Jackson's family estate to court over allegedly unpaid royalties, with his estimates claiming that he is owed $10 million from the estate of the late King of Pop. 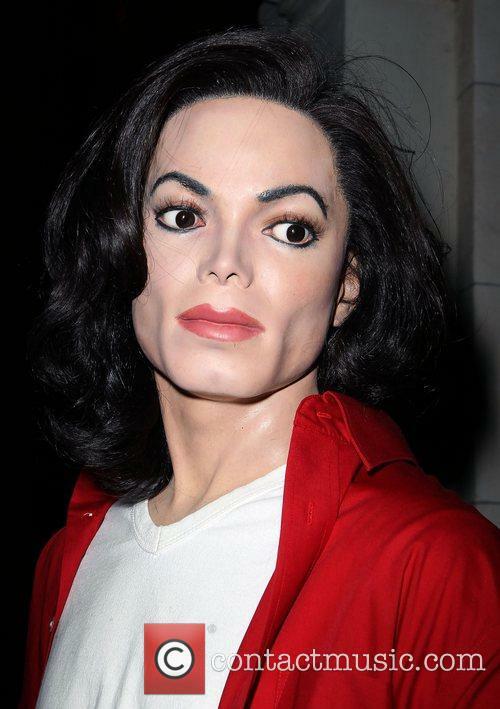 Jones produced the majority of Michael's most popular works, and believes he is being duped out of millions of dollars worth of earnings generated by the ever-profitable recordings he worked on. 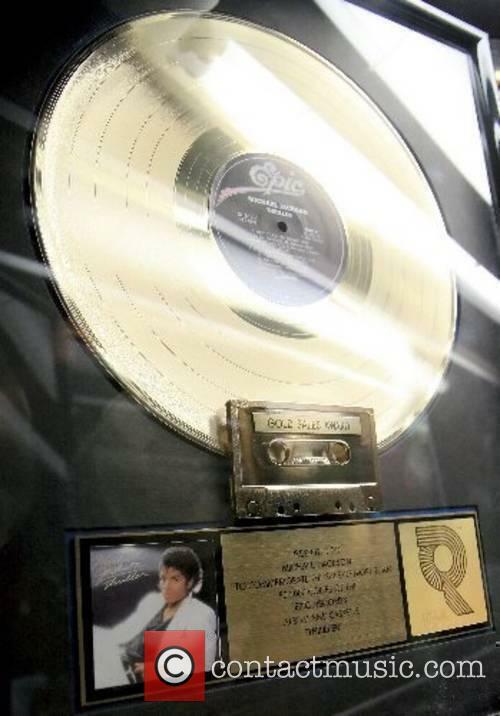 The 27-time Grammy winner served as the producer on some of Michael's most successful albums, including Off the Wall, Thriller and Bad, and he is now taking Sony Music Entertainment and MJJ Productions - a song company controlled by MJ's estate - to court over unpaid royalties. Among the ventures associated with the late pop icon that Quincy wants compensation from include the This Is It film and OST album, the two Michael Jackson Cirque du Soleil productions and the 25th anniversary edition of the Bad album that was released in 2012. Music Legend Quincy Jones claims he is owed millions of dollars over some of Michael Jackson’s posthumous music releases. American music producer Quincy Jones has filed a lawsuit for $10 million aimed at Michael Jackson's posthumous music releases. 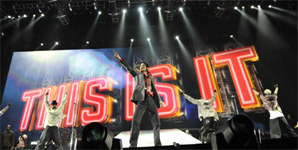 TMZ reported, Jones is suing Michael Jackson Productions (MJJ) and Sony citing the works 'This Is It' movie, the Cirque du Soleil stage show and the 25th Anniversary of the 'Bad' album, which contain music that Jones produced. Rakin' it in from the grave. Michael Jackson's family may have lost their $1 billion lawsuit against AEG Live, but the dead pop star is still the highest earning deceased person in the world, according to yet another list from Forbes. Jackson was cremated so there'll be no chance of a Thriller-style resurrection where he returns to spend his riches but from his grave he earned a mighty $160 million (£99 million) over the past 12 months. Though Dead, Michael Jackson Is Exceedingly Rich. 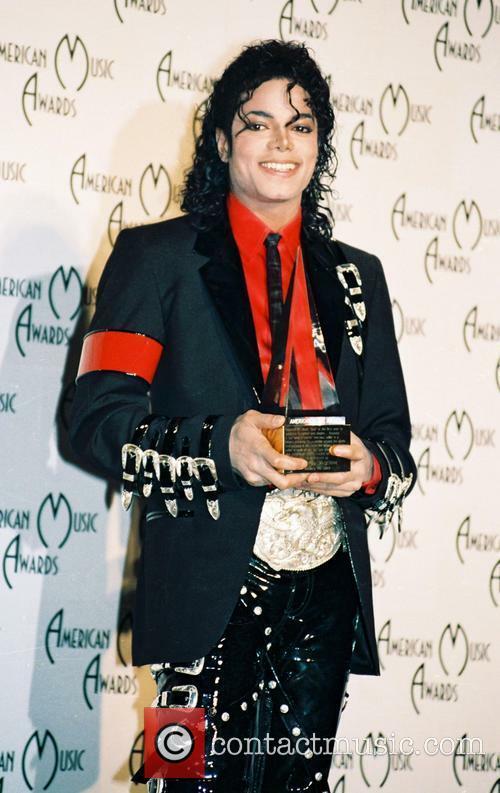 Amazingly, and four years after his death, Jackson is also earning more than any living star, surpassing the top living earner Madonna's yearly earnings by a tidy $35 million. Second place by a long way on Forbes' list was Elvis Presley whose post-mortem earnings total $55 million. In it's most recent list of top celebrity earners, Forbes has named Michael Jackson as the highest earning dead celebrity of the last year. 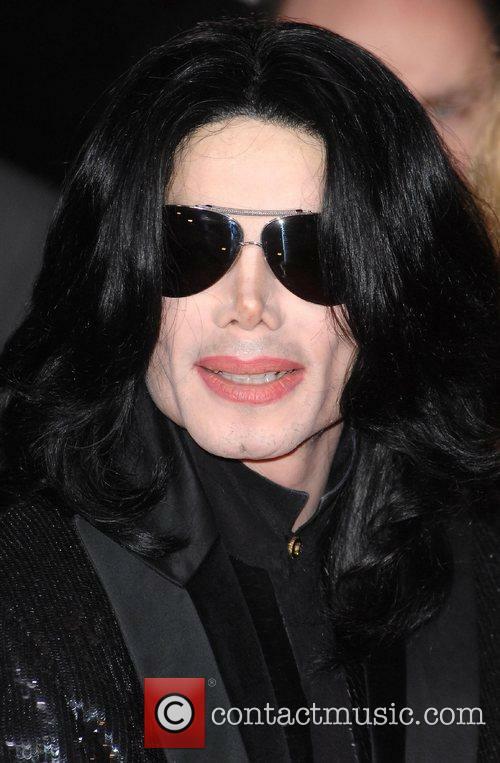 With his estate earning an estimated $160 million between October 2012 and June 2013, not only is Michael the top earning dead celebrity, but the top earning celebrity in general. Michael's earnings over the last year amount to $35 million more than the top-placed living celebrity, Madonna, who Forbes estimates earned $125 million between 2012 and 2013. As reported by Forbes, this marks the "third time in the past five years" that a dead celebrity has been crowned the highest earner of the year. How appropriate for a list that is released just before Halloween. 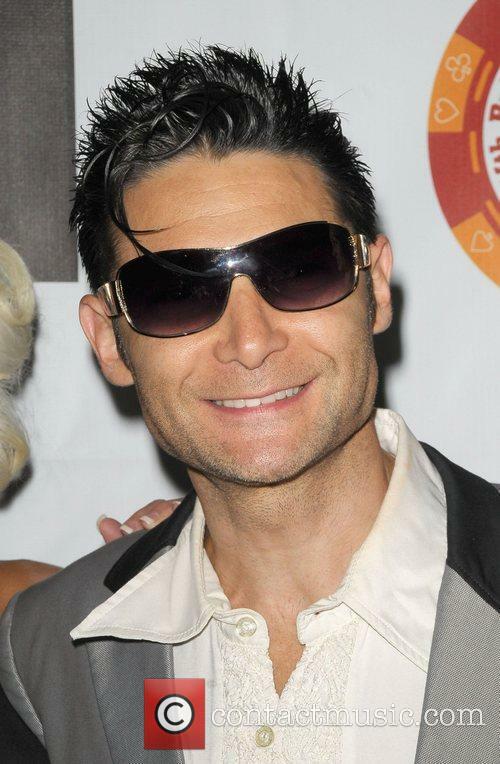 Corey Feldman will release his memoirs, Coreyography, in the coming weeks, describing his rise to stardom at a young age, before falling from grace and into relative obscurity as his years progressed. Perhaps known best for his work with off-screen best friend Corey Haim, the actor has admitted for the first time that both he and Haim were the victims of sexual assault in their formative years. What's more, Feldman also claims that some of Hollywood's leading figures were behind the attacks. Both Feldman and Haim were known for their consuming drug habits, and the autobiography goes into vivid detail about some of the nights of debauchery the former teen heart throbs went through in their younger years, but Feldman's memoir also reveals a much darker side to Hollywood that surpasses child drug use. Feldman explains in Coreyography that at the height of his fame, the crop of young stars dominating the Hollywood scene at the time were regularly picked off and sexually abused by senior Hollywood personel. Katherine Jackson's Lawyer Warns, "This Ain't Over Yet"
Katherine Jackson isn't going down without a fight. Another fight. Katherine Jackson's lawyer Brian Panish has acknowledged that his client is "obviously disappointed" at losing the $1.5 billion damages case against concert promoter AEG, though told the New York Daily News, "There's going to more to this story." "She's obviously disappointed, but she's a very strong woman," lead plaintiff's lawyer Brian Panish said on Thursday, "She's been through a lot in life, and she's doing the best she can. She only wants what is best for Michael's children, who are her No. 1 priority," he added. He called the five-month trial "a search for the truth" that likely didn't end with Wednesday's verdict, which acknowledged that AEG Live did in fact hire Dr Conrad Murray as Michael Jackson's doctor, though that they were not responsible for his death. 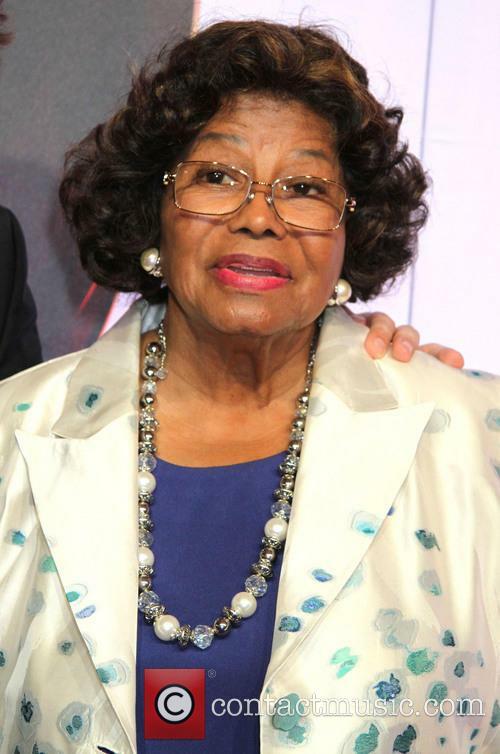 Continue reading: Katherine Jackson's Lawyer Warns, "This Ain't Over Yet"
The jury in the court case brought against concert promoter AEG Live LLC by Michael Jackson's family has ruled in favour of the promoter. 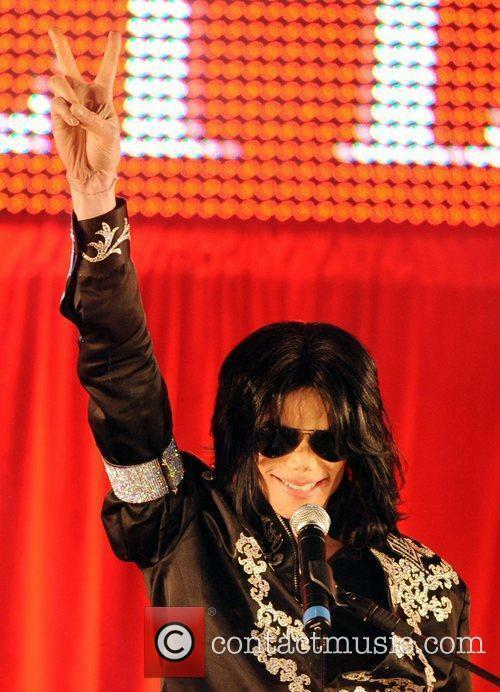 A jury ruled in favour of concert promoter AEG Live LLC, determining that the company was not liable in the death of singer Michael Jackson in 2009. The court case had been filed by Katherine Jackson, Michael's mother, and his three children - Prince, Paris, Blanket- were also listed as plaintiffs. The concert promoters were responsible for arranging Jackson's comeback tour in 2009, the case against them claimed they were negligent in hiring Dr Conrad Murray as Jackson's doctor. Michael Jackson died in 2009 after his doctor administered propofol. Murray was charged with involuntary manslaughter in 2011 as it was ruled he had administered a fatal dose of propofol which led to Jackson's death. The drug propofol is usually used as an anaesthetic in surgical operations; however Murray administered the drug to Jackson in July 2009 as a sleeping aid, with fatal results. Despite being a difficult drug to administer, Jackson's lawyers argued,"Propofol might not be the best idea. But if you have a competent doctor, you're not going to die." Michael Jackson Family Defeat In AEG Lawsuit, Court Rules Death "Not A Tragedy Of AEG Live's Making"
The family have failed to sue the promoters for hundreds of millions of dollars. The family of the late pop star Michael Jackson have lost in their case for huge damages after a court ruled against claims that alleged concert promoters AEG Live was negligent over Jackson's death on the 25th June 2009 as a result of an overdose of the anaesthetic Propofol. 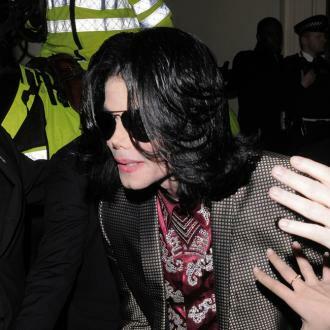 The Aftermath Of Michael Jackson's Tragic Death Has Been Riddled With Long Court Cases. 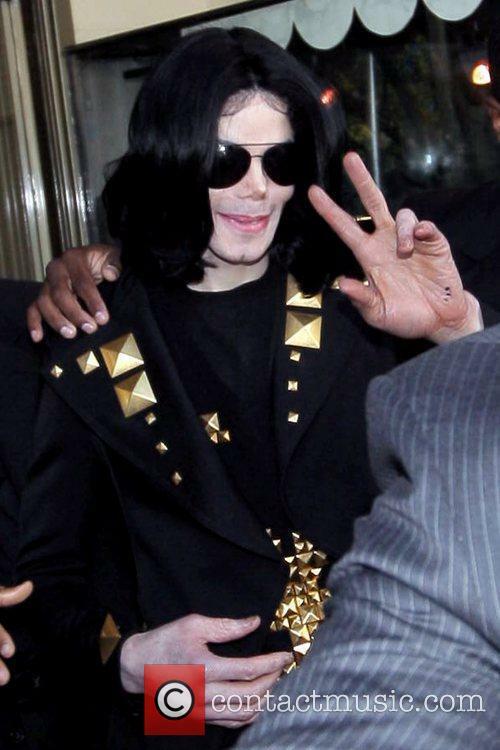 Brought by Jackson's 83 year-old mother, Katherine, the case against AEG Live alleged that the organisers of the star's comeback tour were negligent in hiring Doctor Conrad Murray, who was jailed for four years for involuntary manslaughter, and failed to read the signs of Jackson's ill health. Continue reading: Michael Jackson Family Defeat In AEG Lawsuit, Court Rules Death "Not A Tragedy Of AEG Live's Making"
Kanye West's ego need know introduction, so when he described himself as the planet's biggest rock star, it wasn't exactly an alarming statement. Speaking to BBC DJ Zane Lowe in an exclusive interview, West went on to discuss the opertunities awarded to him as a black artist thanks to Michael Jackson and the sacrifices in the name of civil rights that his parents and grandparents gave, as well as also discussing his life with Kim Kardashian. "Rap is the new rock 'n' roll. We are the real rock stars and I'm the biggest of all of them. I'm the number one rock star on the planet," the 'Black Skinhead' rapper boasted. 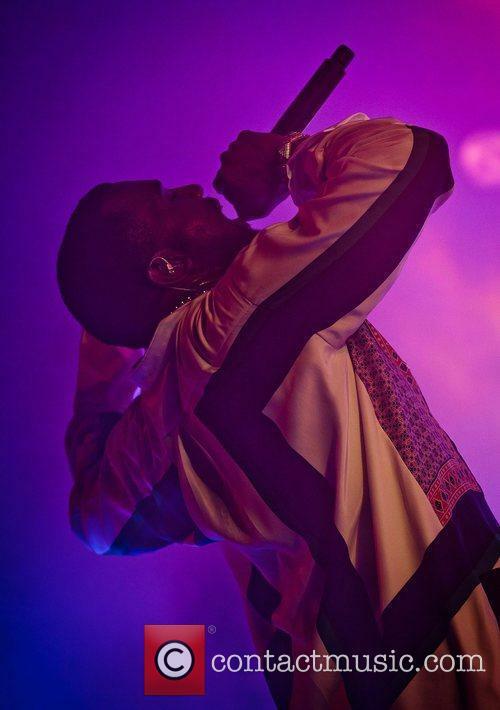 Kanye, who begins his world tour in support of new album Yeezus next month. The album, released in June this year, received mostly unanimous praise for his sixth full-length release and reached the top of the album chart in the US, UK, Australia and Canada upon it's release. The Michael Jackson trial is finally coming to an end - but who will win it? Billions of dollars are at stake as the Michael Jackson wrongful death trial moves into its closing arguments, with Katherine Jackson and the King of Pop's three children attempting to persuade a jury that concert promoter AEG Live should pay for its role in hiring Dr Conrad Murray. The five month trial, which has resembled a circus at times, begins its culmination on Tuesday with the closing arguments. A big crowd, which is rumored to include Prince, is expected for the final arguments, meaning court personnel have moved the proceedings to a much larger courtroom with over 200 seats. A judge at confirmed to the 12 jurors that only nine had to reach agreement on whether AEG hired, retained or supervised Murray through a contract that was written, oral, or created by intentional conduct, according to the New York Daily News. 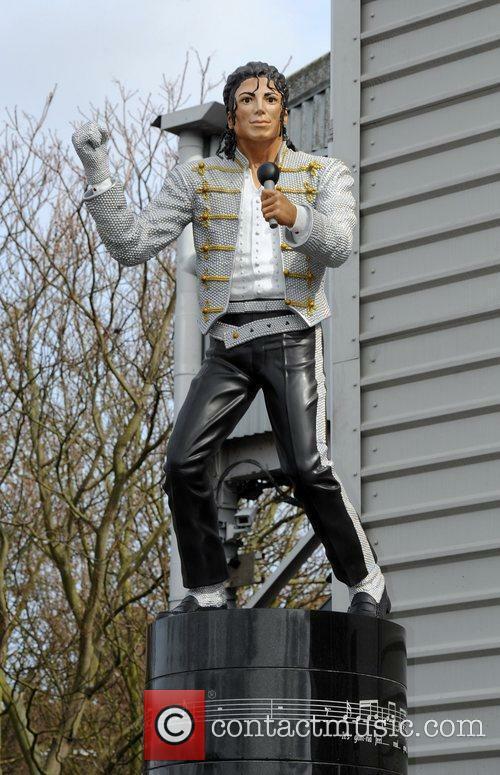 The Michael Jackson statue that was unveiled outside Fulham Football Club's Craven Cottage stadium in 2011 is to be removed by the clubs new owner Shahid Khan. Khan has since stated that he is removing the statue of the King of Pop as per the request of former owner Mohammed Al Fayed, who will re-erect the statue at one of his many other properties. Since it was first installed in 2011, the statue garnered criticism from fans who said the money could have been spent better and that the late singer had no connection to the South London club. At the time of it's unveiling, Al Fayed insisted that Jackson was a fan of Fulham (in spite of the fact that he was only ever spotted once in the South London area) and stood by his decision to keep the statue at the back of the Hammersmith stand. When met with further criticism and ridicule from supporters, Al Fayed told them they can "go to hell." Michael Jackson's Daughter Paris Says Joseph Fiennes Casting Makes Her "Want To Vomit"